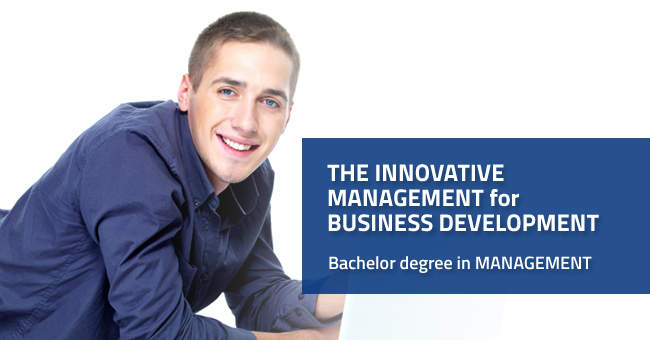 Management is interdisciplinary study based on creativity and developing creative attitudes, going beyond schemes and coping with the challenges of the modern job market. 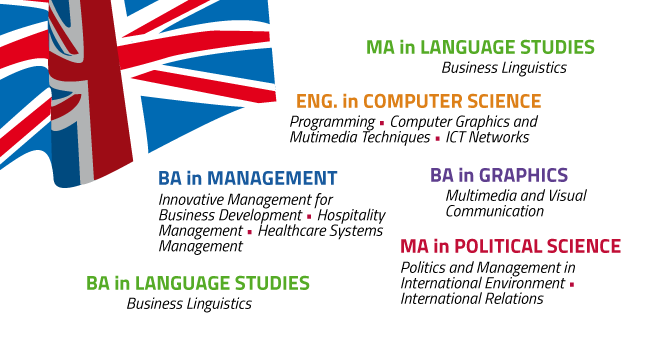 Programs are tailored to prepare you to work in enterprises of all sectors of economy in positions of specialists and managers. The qualities that make a manager successful may differ across cultures. 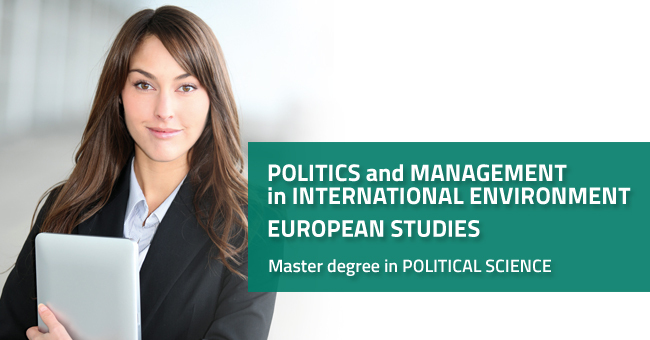 Political Science studies develop an understanding of cultural differences, the skills to manage internationally, and the knowledge to navigate the complexities of international organisations. Its goal is also to provide knowledge and understanding of economic specifics of international markets, accounts and risks, trade and negotiations. 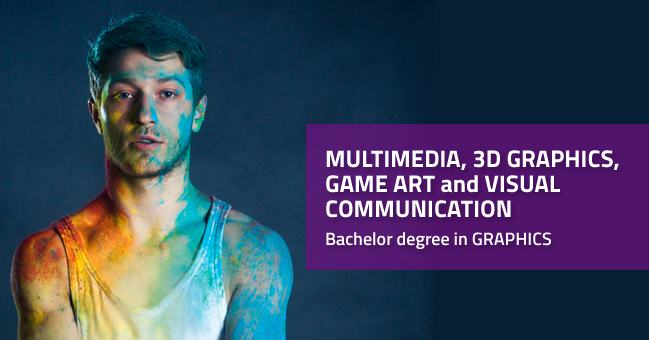 Graphic Design bachelor degree programs offer a broad experience of graphic design with the opportunity to specialise in one of two pathways: Multimedia and Visual Communication, 3D Graphics and Game Art. We aim to encourage an open-minded, flexible and exploratory approach to design with a supportive learning environment. You will be introduced to key areas of communication design, building your design confidence through individual and team projects. 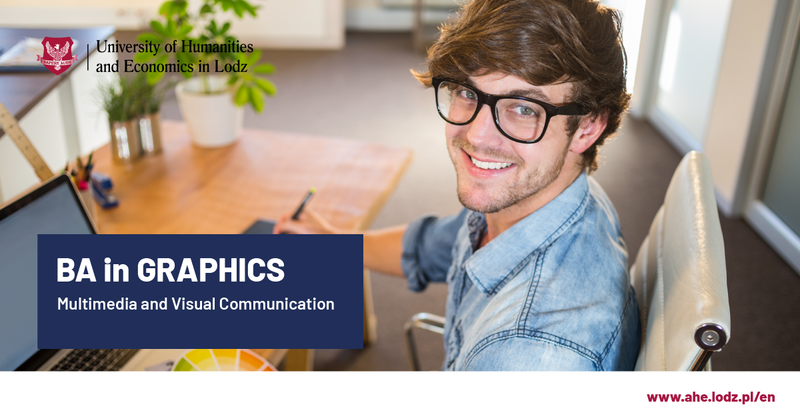 Through a range of workshops, and lectures, you will achieve skills in areas such as multimedia design, 3D and 2D graphics, typography, branding, printmaking and motion design. Our educators are nationally recognized artists. 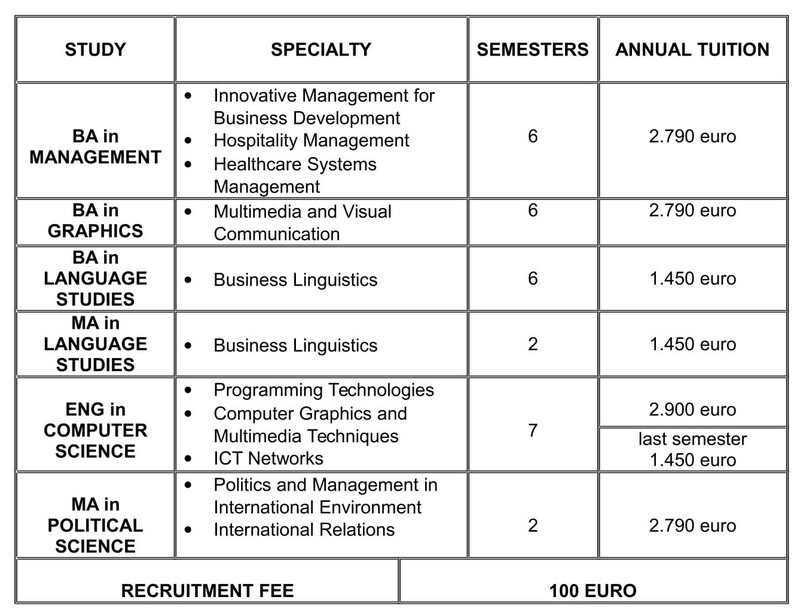 The aim of the studies in Computer Science is to prepare modern and comprehensively educated specialists. 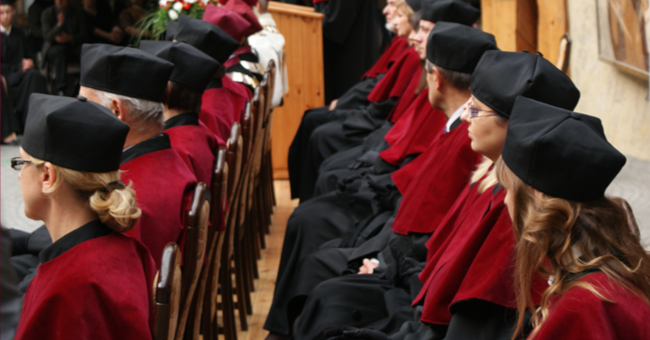 The curriculum is the most recent and original response of the practical academic training to the requirements of the educational system and the demand of the labor market. You will acquire professional IT knowledge and technical skills relating to IT equipment and software support. Three and a half year study (7 semesters) results in Engineer’s diploma in Computer Science. How to apply step by step. 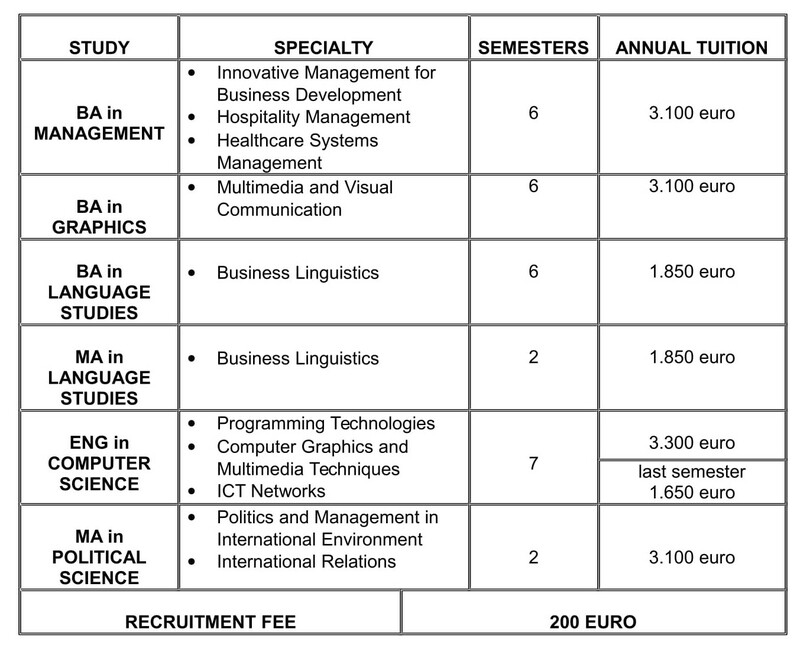 1st step: Choose a programme/faculty. 3rd step: Submit all the required documents. Remember that your application will be verified only when you submit all documents so please contact us immediately in case you have any problems or doubts concerning this step. We will contact you as soon as we receive it. 4th step: Pay the admission fee and the tuition. 5th step: Pass the online interview. 6th step: Wait for the acceptance letter.